Five of those who died were children or teenagers aged one to 16. The other victim was a 42-year-old woman. 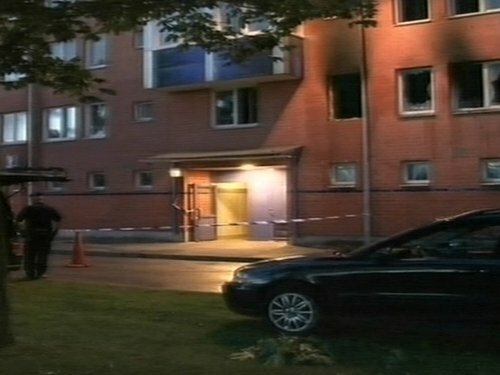 The fire began on the ground floor of the building in the Rinkeby district, about 15km west of the Swedish capital. Swedish news media reported that the victims died of smoke inhalation after they were trapped in an elevator. 'We have confirmed that six people have died and that two people are seriously injured,' said police spokesman Jens Wismar.